We have redesigned our 13/415 PP dropper with the introduction of a new standard collar in Polypropylene for our promotional sizes. The new cap is available today in urea or with a metal shell and a polypropylene inner cap, with a taller design for a slimmer promotional set, in injection PP. For the called easy-to-go presentations, products in a smaller package, easier to carry over around, adapting to many women's new lifestyle habits. 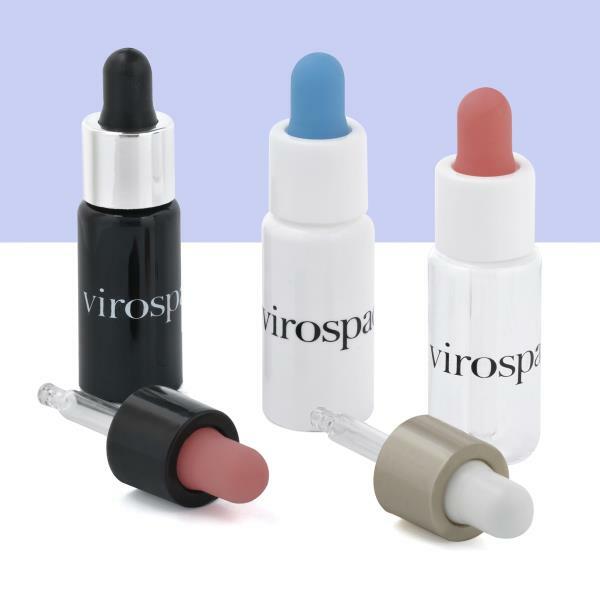 This is a market trend to which Virospack responds with a wide range of dropper dispenser packs. We have classic or push-button droppers, high quality and easily customizable, with 3ml, 4ml, 5ml, and 10ml capacities. With this new design we increase our PP cap offering in our catalogue, including Europa 5, 20/410, 24/410 sizes, and from now on, 13/415. 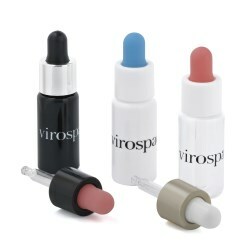 Virospack: Offering solutions that adapt to customers needs!